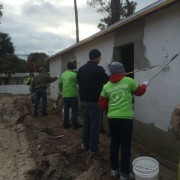 Learn about the many Habitat for Humanity of Greater Volusia County volunteer opportunities. 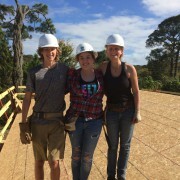 Halifax Habitat for Humanity has enjoyed long-term partnerships with local Rotary Clubs and Florida Power & Light Company. The synergy created by these partnerships resulted in an ideal opportunity to “energize” a Habitat home build project with a local military veteran. Larry Volenec, FPL External Affairs manager, made a $10,000 donation to Halifax Habitat for Humanity on behalf of the company to support the veteran build house sponsorship by the Rotary Club of Daytona Beach West. 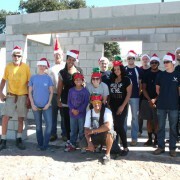 Habitat International recently wrote about a new concept: the alternative spring break. Students wishing to make a difference can take part in activities that will better their community, capsule or even travel nationally or abroad for projects. Enter your email address to subscribe to our blog and receive good news, clever DIY home decor tips, and updates by email. 1030 W. Intl Speedway Blvd. Enter your email address to subscribe to our blog and receive news, articles and updates by email.